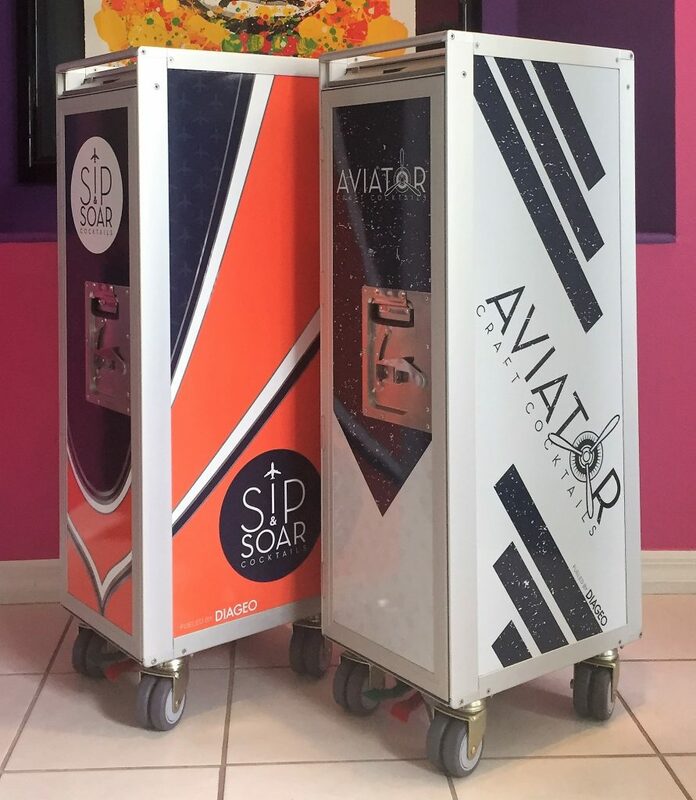 They had their own graphics department design the decoration for the SIP & SOAR and AVIATOR Craft Cocktails SkyCarts. 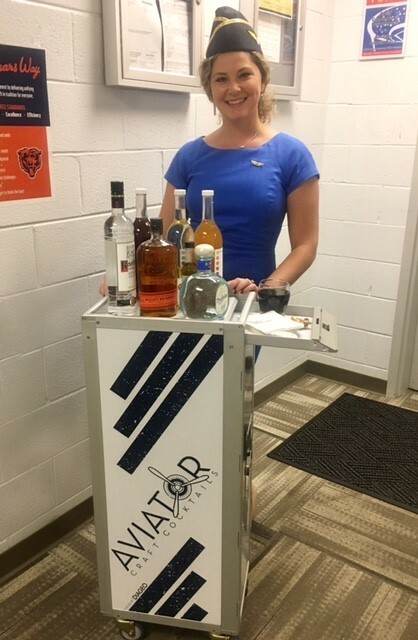 What could be more appropriate than to serve AVIATOR Craft Cocktails from an airline trolley? 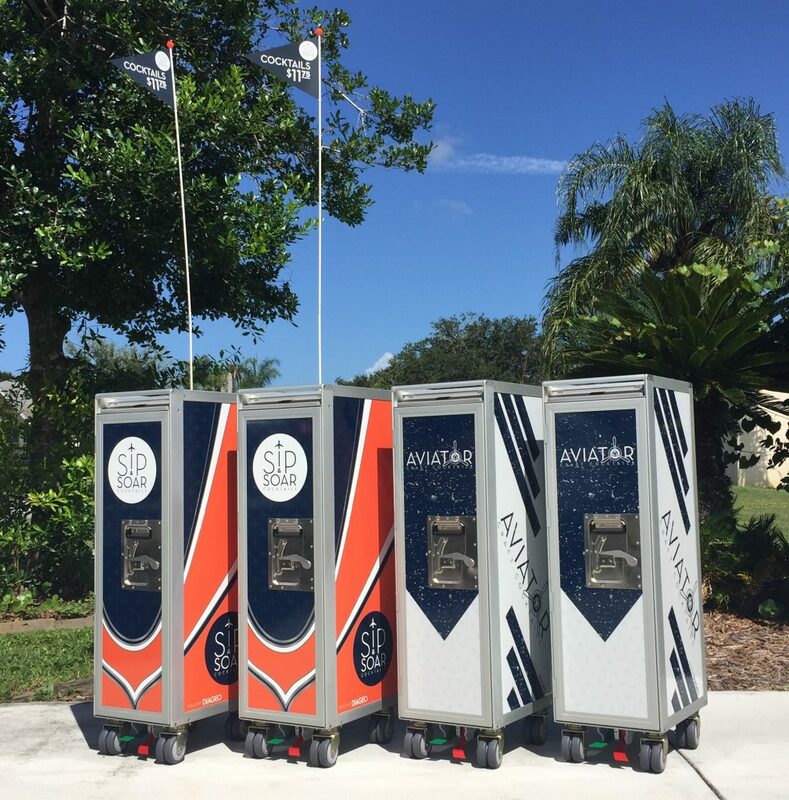 We modified the SkyCarts slightly so that they can display a flag. This way they are easier to spot in a lounge which might get crowded at times.